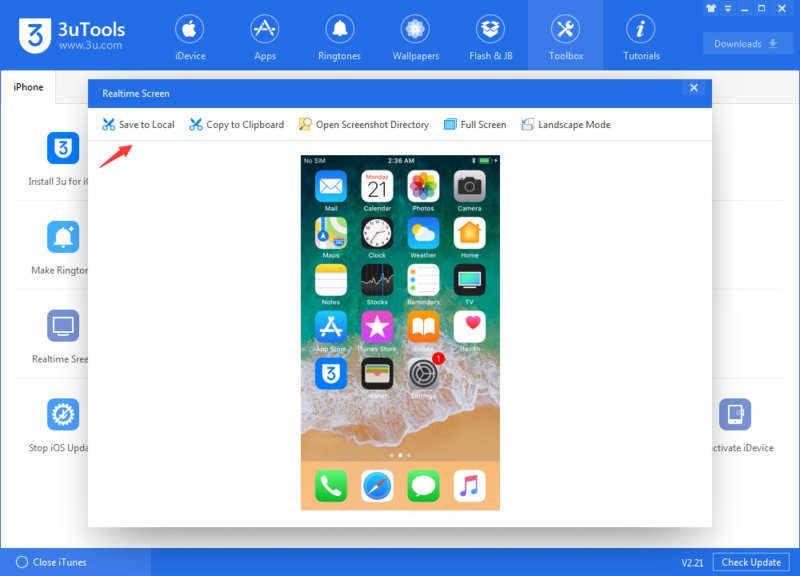 tutorial|How to Take a Screenshot on iPhone Using 3uTools? How to Take a Screenshot on iPhone Using 3uTools? If you are new to iPhone and you want to cut out a screenshot on iPhone, but you do not know how to do it. Please don’t worry about this problem. It is easy to operate using 3uTools. This tutorial is mainly introducing two methods for you to make a screenshot on iPhone: using 3uTools and using iPhone key combinations. Method One: Using iPhone key combinations to cut out a screenshot. Step1: Enter your wanted interface. Step2: And then, you need to press the Power button and Home button simultaneously. Step3: You’ll see a white light on your iPhone’s screen. And then, you can find the screenshot in your iPhone's album. Method Two: Using 3uTools to cut out a screenshot. Using iPhone key combinations to cut out a screenshot is very simple and convenient, but this method does not apply to all cases. For instance, you are not able to cut out a screenshot when you are watching a movie or chatting with others. 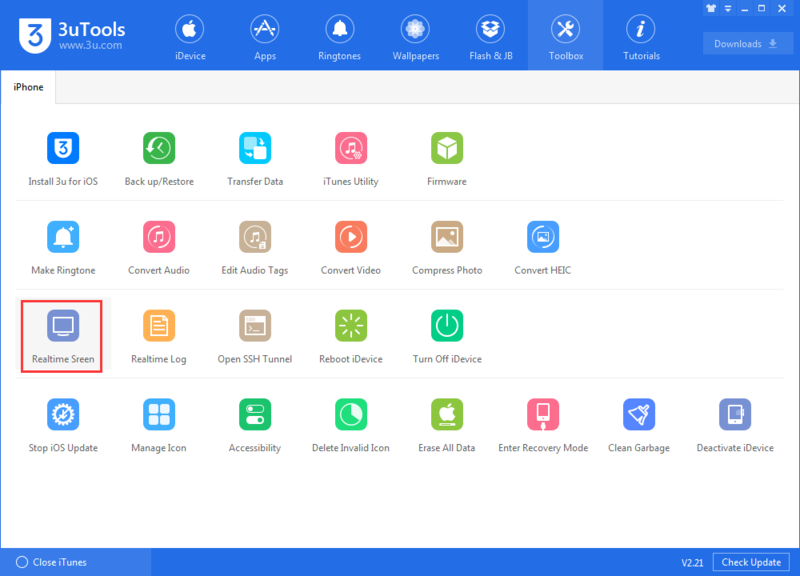 You can regard 3uTools as a management software, and one of its important feature is to help users to cut out the screenshot on iDevice. What’s more, 3uTools can help you import/ export photos from your iPhone to PC. Step1: Please download and install the latest 3uTools on your PC. Connect your iPhone to PC using the USb cable. Step2: Please click “Toolbox-Realtime Screen ”. Step3: Enter your wanted interface and click “Screenshot”.